Hiring military veterans has proven time and time again to be a win-win situation for both transportation companies and the veterans themselves. For our returning servicemen and women, our industry provides a good job, a stable career path and an opportunity to utilize much of the skills and training gained during the course of military duty. For trucking companies, recruiting veterans provides a pipeline of highly trained, dependable workers to help ease the industry’s current professional shortage. Now, let’s take a look at just a few of the reasons why veterans are an invaluable resource to the transportation and supply chain industries. At all levels of the military, people are expected to lead: leading by example, instructing others, managing peers or stepping up in a crisis. A natural leader is a major asset to your existing team and a smart personnel investment in the long term. We live in an age where our military is smarter, better educated and more capable than ever thanks to cutting-edge technology and expert training. Our veterans not only gain unparalleled technical and mechanical skills during their time of service, but they also cultivate qualities that make them strategic thinkers, disciplined managers and extraordinary leaders. They’re accustomed to working non-traditional schedules, they often need minimal on-the-job training, and many are experts at operating heavy equipment, having been trained to do so from a very young age. When a person joins the military, they make a commitment to sacrificing everything necessary to serve their country. Back at home, this mindset means a sharpened understanding of their personal responsibility to their employer, their peers and the world when it comes to safety, accountability, punctuality and efficiency. Few professionals in this world know more about teamwork than military personnel. From day one, soldiers are trained to not only work seamlessly with their peers toward a shared goal, but to respect and value their peers’ contributions and abilities as well. Just as military personnel represent our country’s values at home and abroad, so do your employees represent your carrier’s image and values. Our veterans have been immersed in a culture built on discipline, loyalty, respect, pride and accountability, and are trained from day one to take pride in their work and respect their role in something larger. Here at Averitt, hundreds of our current associates – including drivers, members of our executive team, people in supply chain and logistics roles, logistics and operations leaders, and administrative professionals – have served or are currently serving in the military. Hiring military personnel is more than a practical HR trend for us. It’s a natural fit. We know firsthand the value of welcoming veterans into our workforce, and we’re passionate about encouraging others to do the same. We’re honored to be recognized as a “Patriotic Employer” by the U.S. Department of Defense’s Employer Support of the Guard and Reserve program, or ESGR. As a part of our ongoing commitment to hiring military veterans, we have pledged to add 1,200 active and former military personnel to our driving force by 2020. 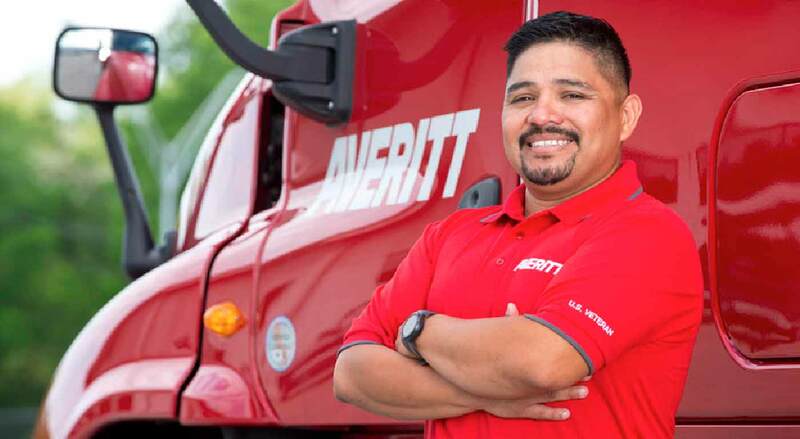 Watch this video to hear what some of our veteran drivers have to say about working for Averitt. This entry was posted in General, Hire Veterans and tagged averitt, career transition, hire veterans, hiring military, military skills, military to civilian transition, Veterans Day by Karin Durkee. Bookmark the permalink.